I was looking for a good pound cake recipe for a while. I came across hundreds of recipes and so I mixed and match them to my liking and I love this cake. I really do. It cuts beautifully, has a velvety smooth texture, tender crumb and freezes well too. 1tbl Nielsen-Massey Madagascar Bourbon Pure Vanilla – 8 oz. Butter, line with parchment paper and butter and flour cake pan. Using your stand mixer or hand mixer, beat butter with sugar for 5 minutes or so, add sour cream, gradually and beat until smooth. On medium speed alternatively add flour and one egg at a time. Beat until smooth. Add vanilla extract and princess emulsion. Beat just until combined. Pour the cake batter into a prepared pan. Bake at 325F, 10inch pan takes about 1hour 25 minutes, or until golden brown and toothpick inserted in the center comes out clean. All the decorations are made from Marshmallow Fondant. Animals are made from royal icing transfers dried on a slightly curved surface. Little feet were made using a silicone mold. Baked this recipe this morning and the taste is amazing. However the time seemed off. I took mine out after 45 min and the top was pretty crusty. Is that normal? This is my first pound cake. Sweet cake! I do NOT have this talent! AND I LOVE your cake stand. It's beautiful! Love it Hani! Great job! This recipe sounds delicious. I can REALLY use a GOOD vanilla pound cake. I'm definitely going to be trying this one out next! THANK YOU! And I LOVE the light shimmer. It makes it all seem so much softer. And great job cutting out those elephants to match — that could not have been easy. 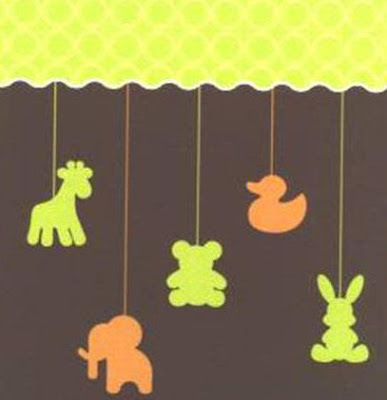 love the little hanging animals in royal.. great idea. 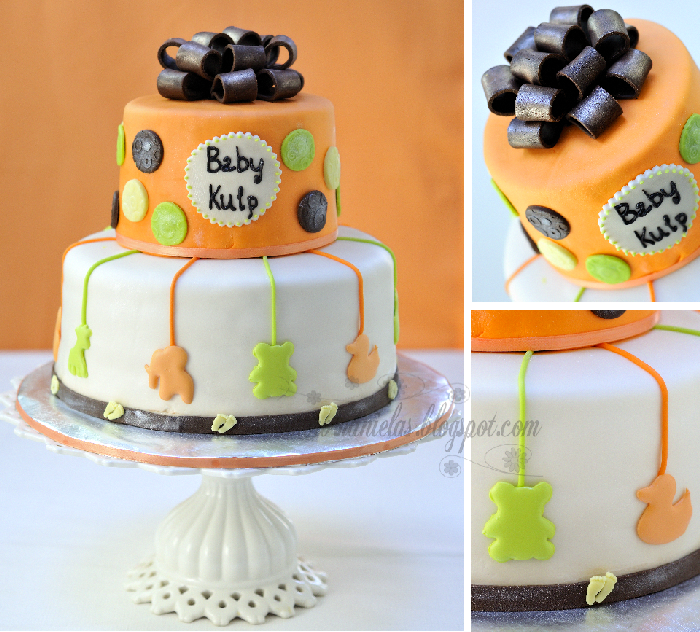 cake sounds very yummy… with all the baking ideas you give I need to add an additonal 8 hours to my day. A really pretty cake and sound yummy too! Thank you Kenni, I'm glad you like it. 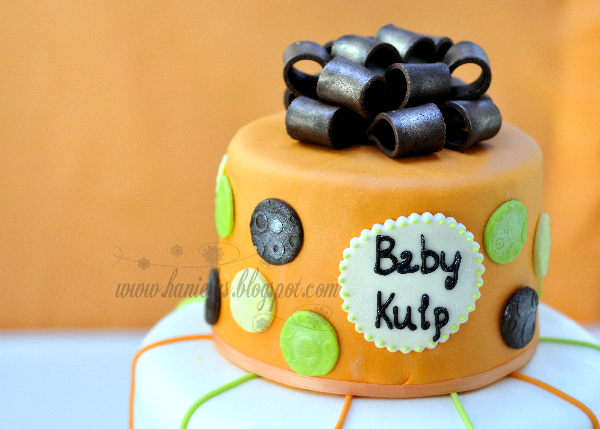 Kulp is the last name of the baby to be. I like the fact that you went with a nontraditional baby color scheme. Where did the baby's name come from? I'm curious because I've never heard that name before.